My advice is to steer clear of third-party inks unless you are sure they suit your needs without any risk to your printer. 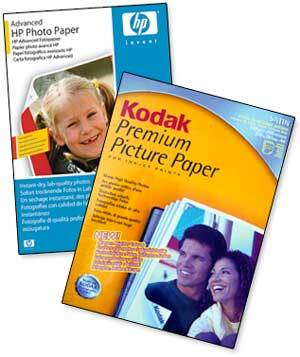 But third-party photo papers are a different matter. There is relatively little risk in damaging your printer through using third-party papers though achieving perfect results can be a challenge. This is because the printer needs a ‘profile’ based on a complex model of the colour characteristics of a given printer, its inks and a specific paper type. By using papers recommended by the printer manufacturer, it’s likely that the software installed with your printer, called a printer driver, will contain the correct profiles for these papers when used with that printer and the manufacturer’s recommended inks. Changing just one element will likely invalidate the accuracy of a profile. But it’s different with third-party papers because profiles for these papers are rarely supplied by the paper manufacturer. It’s a difficult task to produce profiles for the hundreds of printer models.